1. Order yourself a box of chocolates. You deserve to celebrate--you finished your novel! 3. Realize that you get way too much junk mail. Take some time to Unsubscribe. Real quick before you open that really, really blank future synopsis document. 4. Cleaning up junk mail feels great. Cleaning up workspace is even better! The synopsis can wait. After all, you do work better with a clean desk. 5. Under a pile of clutter, you'll find that book you've been meaning to read. Maybe it will help you brainstorm ideas for your next novel. Take a nice long reading break & snuggle with your cat. 7. Reading has given you some cool ideas for your next story. Maybe you should write then down. After you go to the store and buy a cool new notebook. 8. The mailman is here! He's got your chocolates--and a pile of intriguing catalogues. Hey, maybe you'll get ideas for some of new characters. Ooh! These models are wearing really nice sweaters... The trip to the mailbox was chilly. 9. 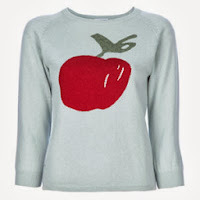 Go online and peruse several sweaters. 10. Okay, you have to write at least the first line of the synopsis. Done. Name the document. Done. Hmm? Is the first page of your novel as good as it really could be? What if you changed that fourth word in the second paragraph? So, yeah, I'm literally sitting on my sofa eating bonbons and reading books. I'll work on my synopsis tomorrow. I promise! Another fun short story collection! Here's contributor Debbie Rigaud's writing advice. 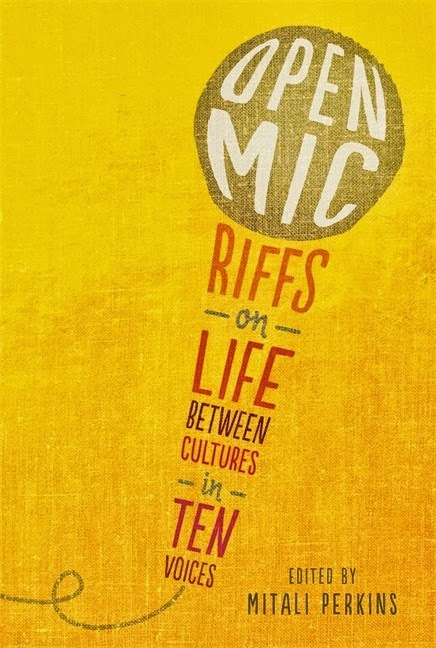 Leave a comment to win a copy of Open Mic. What’s your best advice for fellow writers? I’m still learning the ropes myself, but I’d advise fellow writers to not only continue developing their creative side, but to sharpen their business sense as well. What we do is creative, yes, but it’s also profession. Even though it may not come naturally to some of us (*raising my hand*), we have to learn to use both sides of our brains and have a healthy understanding about things like publishing contracts, e-book vs. print royalties, agent fees, and other small print information in the book of industry dealings. I’ve heard of many writers who write reams and reams of very detailed back stories and character profiles before they start working on their manuscripts. Writers say it adds more layers to their writing and gives characters more depth. I can definitely see how developing back story can achieve all this, but it’s not something I incorporate in my writing process. Instead, I write a detailed plot summary and I work through the back stories while I’m working on my manuscript. 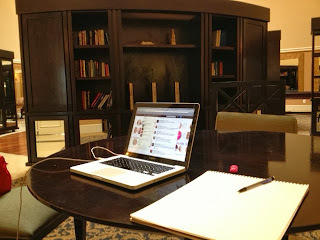 Over the past five-plus years while living in Bermuda, I did most of my writing on my dining room table. I regularly got together with Sylvia May, another author on the island and we’d host writing sessions at each other’s homes. I miss those days now that I’ve just moved back to the States, but I’m glad here I can work at local coffee shops. I’m at my most productive in these public settings. What is the best book you’ve read lately on the craft of writing? I always go back to the same popular writer’s guide, Anne Lamott’s “Bird by Bird.” It’s like Anne knows all of my creative struggles and understands what kind of tough love I need to stop procrastinating and start writing. I've been reading a lot of short stories lately, so I'm excited to host Diana Rodriguez Wallach author of a collection of stories based on mythology. Leave a comment to win a copy! The road to publication is a long one. If you want to be an author—I mean, really want it—then you need to be prepared to settle in for the long haul. Everyone gets rejected—some spend years trying to find an agent, others years trying to find an editor, other years trying to create a fan base. Love the acting of writing so much that it makes everything worth it. Not to write sentence fragments. See what I did there? I love sentence fragments, and I use them often. 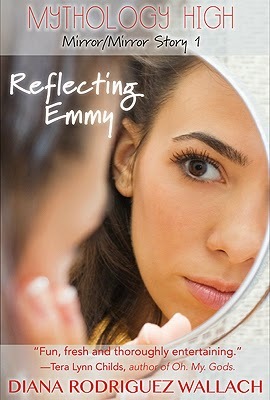 However, I wrote Reflecting Emmy, the first short story in the Mirror, Mirror trilogy, in less than two hours while sitting in a coffee shop in Philly listening to ‘80s music. So, you never know. Inspiration can hit anywhere. I’m a fan of Steven King’s On Writing. It’s an oldie, but a goodie, and it helped me a lot when I was writing my first novel. Please leave a comment to win a copy! 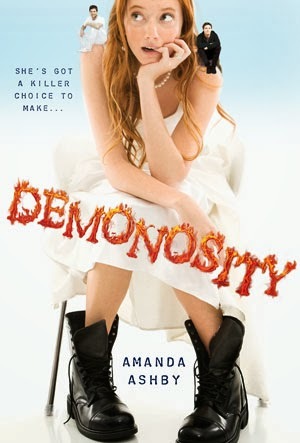 Please welcome Amanda Ashby & leave a comment to win a copy of her new book, Demonosity. My best advice is to not listen to me. I don’t have a clue what I’m doing it and just make it up as I go along! Plus, everyone’s publishing experience is so different that the best thing they can do is trust their own instincts. I think if you ask my copyeditor they will assure that I don’t follow any writing advice, especially when it comes to grammar! I also adore prologues (I have one in Demonosity) and am absolutely, completely in love with adjectives. In fact, the only advice that I ever follow is that I try and write a great story and I would rather break a hundred rules than something that bores me. I have a study! I say that with glee because for years I spent all of my time at the kitchen table or chasing the sun around the house like a cat. However, I can now leave things in the knowledge that they will be there when I come back the following day! Given my lack of rule following it’s probably no surprise that my favorite craft books are by screenwriters because their advice is normally about the story rather than what words we use to create the story! I love The Writer’s Journey by Christopher Vogler and Screenwriting Tricks for Authors by Alexandra Sokoloff (which is a very reasonably priced Kindle book) and my all time favorite is Save the Cat by Blake Snyder because he used language that made total sense to me. She has a degree in English and Journalism from the University of Queensland and is married with two children. Her debut book, You Had Me at Halo was nominated for a Romantic Times Reviewer’s Choice award. Zombie Queen of Newbury High was listed by the New York Public Library’s Stuff for the Teen Age 2010. Fairy Bad Day was selected by Voya as one of their Top Shelf Fiction for Middle School Readers 2012 and was a SCBWI Crystal Kite Award finalist for the Australia/NZ region. Please leave a comment to win a copy of the book! When school started, I took a few weeks to whip my WIP into shape. Today I have to write a synopsis, probably my least favorite kind of writing. So I decided to stop ignoring my blog and start ignoring my synopsis instead. 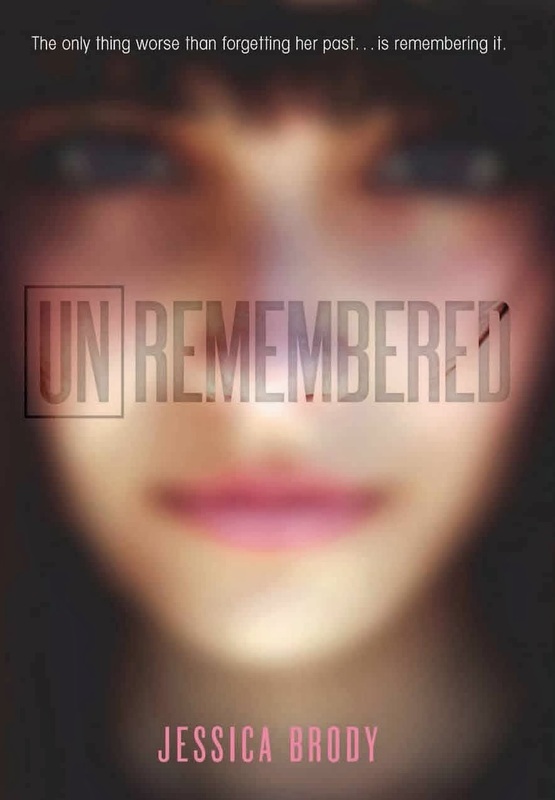 Before I took my break, I forgot to pick a winner for Unremembered by Jessica Brody. Denise Z is the lucky person who gets a copy! Now that I've had enjoyed a nice break, I'm ready to get back to work. Even on that synopsis. Ugh.